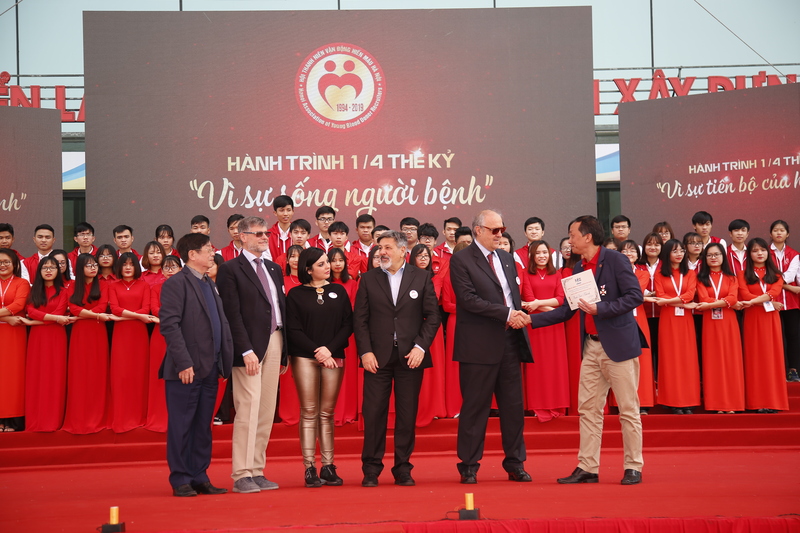 The IFBDO President, Gian Franco Massaro, and the general Director of the National Blood Centre, Giancarlo Liumbruno’s recent visit to Vietnam has built a “bridge” between Italian and Asian blood donors. During their 4 days trip, the Italian delegation has laid the foundations for a possible cooperation between the two Countries, besides rewarding the Vietnamese donors’ experiences. The mission coincided with the celebration of the 25th anniversary of the Hanoi young donors Foundation. During the event, IFBDO international crosses of merit have been awarded to Bach Quoc Khanh, Director of the National Institute of Hematology, and to Nguyen Thi Xuan Thu, President of the Red Cross. During several meetings among the Italian delegation and the local blood world representatives, from the Director of the Vietnamese equivalent of the National Blood Centre, to the Hanoi young donors association and the local Red Cross, all the different aspects of donation and blood and hemoderivatives safety have been discussed. Vietnam has a blood collection system very similar to the Italian one, with almost 1.250.000 units collected, 97.4% of which being voluntarily collected and without remuneration, while the rest coming from “family” donation and paid donation. The Country has almost 95 million inhabitants, spread over an area slightly bigger than Italy.